Kelley Way was born and raised in Walnut Creek, California. She graduated from UC Davis with a B.A. in English and a minor in Music, and proceeded from there to attend the UC Davis School of Law, where she received her juris doctorate in 2010. 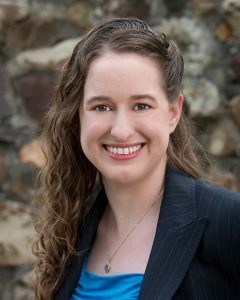 After law school, Kelley did a one year fellowship at the Pacific Justice Institute, during which time she was approached by her first client, the copyright holder of a New York Times bestselling fantasy series. After the successful resolution of the case, she opened her own law firm. When Kelley is not practicing law, she spends her time reading, knitting, singing, and spending time with her family. She also enjoys learning new languages, though she currently is only fluent in English.